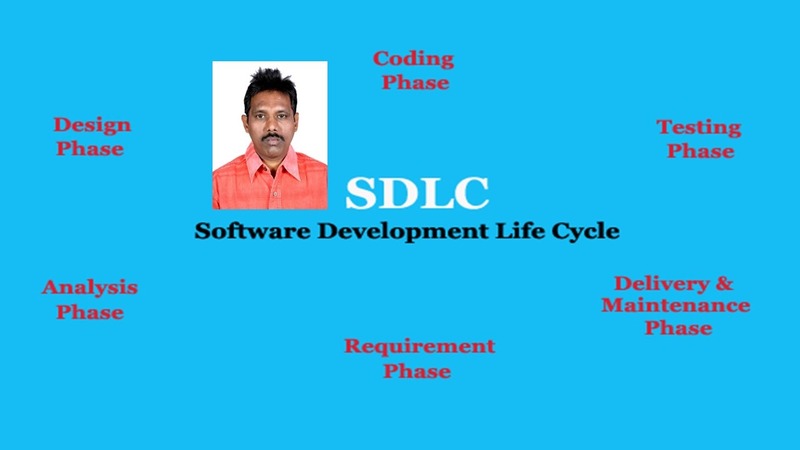 Software Development Life Cycle (SDLC) is a process used by the software industry to design, develop and test software. The SDLC aims to produce a high-quality software that meets or exceeds customer expectations, reaches completion within times and cost estimates. ISO/IEC 12207 is an international standard for software life-cycle processes. It defines all the tasks required for developing and maintaining software. Note: It is General Software Development Life Cycle, we have various SDLC Models in the IT Industry, Waterfall Model, V Model, Spiral Model and Agile Development Models etc…, Software Development process varies from one SDLC Model to another. Requirement Gathering is the most important phase in software development life cycle, Business Analyst collects the requirements from the Customer/Client as per the clients business needs and documents the requirements in the Business Requirement Specification and provides the same to Development Team. Once the Requirement Gathering is done the next step is to define and document the product requirements and get them approved by the customer. This is done through SRS (Software Requirement Specification) document. SRS consists of all the product requirements to be designed and developed during the project life cycle. Key people involved in this phase are Project Manager, Business Analyst and Senior members of the Team. The outcome of this phase is Software Requirement Specification. High Level Design (HLD) is the overall system design, covers the system architecture and database design. It describes the relation between various modules and functions of the system. Low Level Design (LLD) is the detailed system design, covers how each and every feature in the product should work and how every component should work. Developers (seniors, juniors, fresher) involved in this phase, this is the phase where we start building the software and start writing the code for the product. The outcome of this phase is Source Code Document (SCD) and the developed product. Testing is done to verify that the entire application works according to the customer requirement. During this phase, Testing team may find defects which they communicate to developers, the development team fixes the defect and send back to Testing for a re-test. This process continues until the software is Stable, and working according to the business needs of that system. After successful testing, the product is delivered (deployed to the customer for their use), Deployment is done by the Deployment/Implementation engineers and Once when the customers start using the developed system then the actual problems will come up and needs to be solved from time to time.